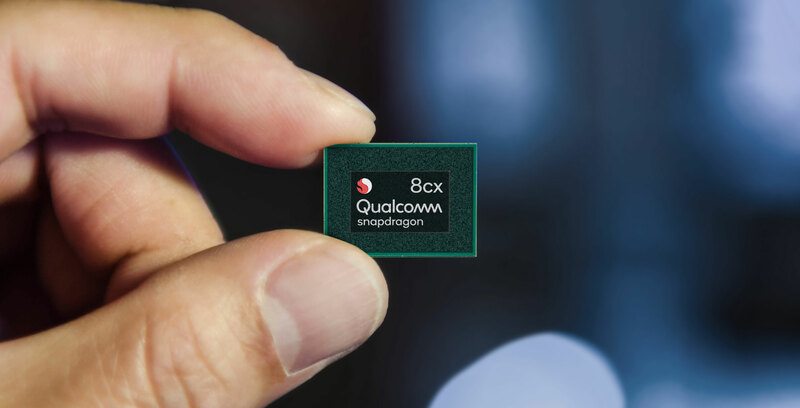 On the third and final day of its third annual Snapdragon Tech Summit, Qualcomm announced its newest always-on, always-connected PC chipset, the Snapdragon 8cx. With 8cx, it’s obvious Qualcomm feels that its third attempt at a PC-focused chipset is a winner. 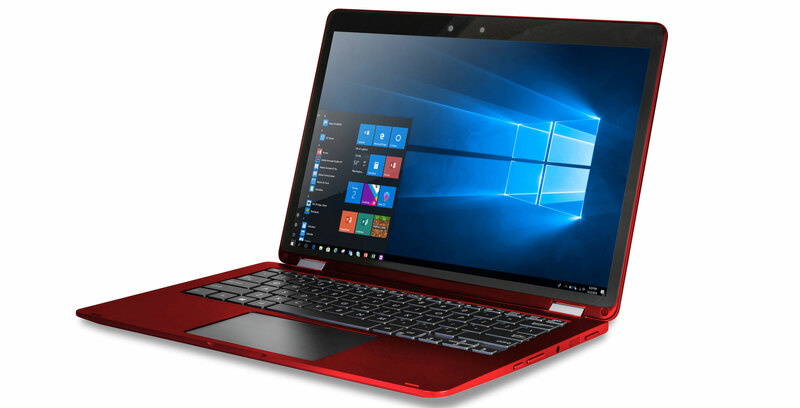 As before, the goal of the company’s always-on, always-connected Windows 10 PC platform is to bring the main benefits of mobile devices — that is, multi-day battery life and a constant wireless connection — to personal computing devices. However, Qualcomm’s PC chipsets haven’t been able to deliver on that promise, in part because the company’s past PC chipsets haven’t delivered on CPU and GPU performance. The 8cx hopes to change that trend. In that way, it stands out from the company’s previous always-connected PC chipset efforts for two important reasons. First, like the Snapdragon 855, which Qualcomm initially announced on Tuesday and then further detailed on Wednesday, the 8cx is built on a 7-nanometre process. To put that in perspective, neither Intel nor AMD have started manufacturing 10-nanometre chips yet — of the two, AMD currently holds the lead with its 12-nanometre Pinnacle Ridge architecture. This is significant insofar as a smaller process leads to a more power efficient chip overall. Moreover, it allows the chipmaker to pack more transistors into a chip. Second, and perhaps more important, is that in contrast to the company’s previous two always-connected PC chipsets, the Snapdragon 835 and Snapdragon 850, Qualcomm designed the 8cx from the ground-up for PC computing, instead of adapting one of its existing mobile chip. The new approach leads to significant changes in the architecture of the 8cx over Qualcomm’s past PC-focused chips, which are likely to make the 8cx a much better fit for PC computing than the company’s previous efforts in the space. To start, there’s the 8cx’s Adreno 680 Extreme graphics. According to the company, the 680 Extreme is its biggest graphics processing unit to date. Subsequently, Qualcomm says the 680 Extreme is three-and-a-half times faster than the 835’s Adreno 540. The comparison to the 835 is notable here because GPU performance was one area where the 835’s origin as a mobile chipset made it less than less ideal for PC computing. Qualcomm says the GPU performance increase it was able to achieve with the 680 Extreme is the biggest leap the company has ever been able to accomplish with one of its Snapdragon chipsets. Additionally, compared to the 850’s 630 GPU, the 680 Extreme is 60 percent more power efficient — yet another major leap for one of the company’s components. Functionally, the sub-component supports DirectX 12 and can power dual external 4K HDR monitors. Similarly, Qualcomm says the 8cx’s Kyro 495 is its fastest CPU yet. The company claims the 8cx can deliver similar peak performance to an Intel U series processors but can sustain that performance for longer periods of time and while using less power. One advantage of Qualcomm’s eight-core design is that the high-efficiency cores can handle simple tasks like uploading a file to Microsoft OneDrive. In this way, 8cx-based laptops and notebooks can eke out about 25 hours of battery life from a single charge. The addition to what seems like competitive CPU and GPU performance paired with multi-day battery life and LTE connectivity is likely to make 8cx-based Windows PCs compelling in a way that past Snapdragon 850 and 835-based PCs haven’t been. Elsewhere, the 8cx reads like a greatest hits of Qualcomm features. One feature the company is bringing over from its mobile chipsets for the first time is support for its QuickCharge 4+ functionality. There’s also support for the company’s Aqstic audio codec and aptX HD Bluetooth codec. On the connectivity front, the 8cx includes the company’s X24 LTE modem, which is capable of theoretical download speeds of 2 Gbps. Alongside the new chip, Qualcomm announced that it’s working with companies like Mozilla to make their apps ARM64 native. In another major announcement, Qualcomm revealed that it’s working with Microsoft to make Windows 10 Enterprise compatible with the 8cx. Qualcomm says it expects the first 8cx-equipped Windows 10 PC to start shipping in Q3 2019. One thing to note is that Qualcomm will continue to offer the Snapdragon 850, so as to provide multiple SKU options to OEMs and consumers.